Enjoy a cup of hot coffee, while we engage with a select faculty member on their current work, intellectual influences and personal interests. Dr. Rivers has served as a lecturer at Harvard University and has presented at Princeton University, the University of Notre Dame, the University of Pennsylvania, the American Enterprise Institute, the Vatican, the United Nations and in several other venues. Her latest publication, co-authored with Harvard sociologist Orlando Patterson, appears in the volume The Cultural Matrix. Dr. Rivers is currently teaching an undergaduate seminar on "Class in the Black Community". Professor Levenson is the Albert A. List Professor of Jewish Studies at Harvard Divinity School. A noted scholar, his book "Resurrection and the Restoration of Israel: The Ultimate Victory of the God of Life" (Yale University Press, 2006) won a National Jewish Book Award and the Biblical Archaeology Society Publication Award. His new book is "The Love of God: Divine Gift, Human Gratitude, and Mutual Faithfulness in Judaism" (Princeton University Press, 2015). Please RSVP below to assure you receive in advance a short reading Prof. Levenson will be guiding us through as we enjoy hot coffee and good company. Our first installment of the series will be with Professor Robert P. George, the McCormick Professor of Jurisprudence and Director of the James Madison Program in American Ideals and Institutions at Princeton University. 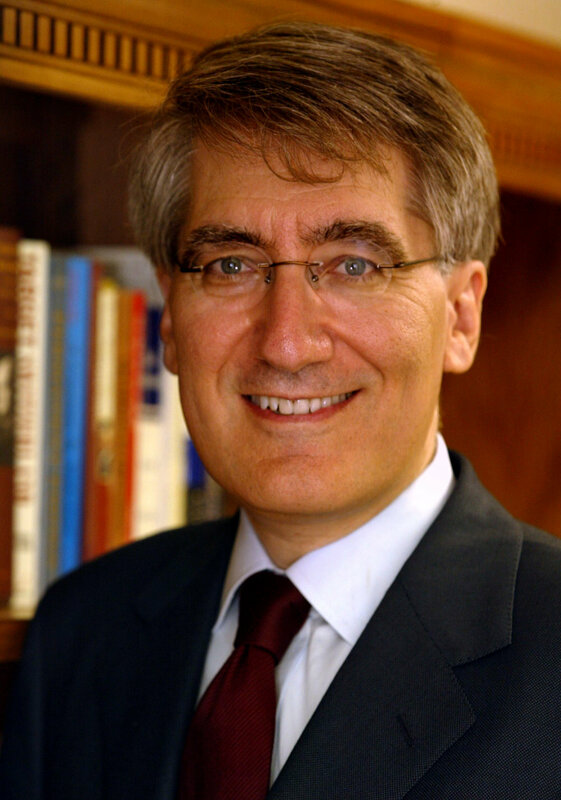 Prof. George is the former Chairman of the United States Commission on International Religious Freedom, a former member of the President's Council on Bioethics and served as a presidential appointee to the United States Commission on Civil Rights. He is currently teaching a seminar in conjunction with Professor Adrian Vermeule at Harvard Law School called "Law and Catholic Social Thought".